Selenga 2017, joint Russia-Mongolia counter-terrorist exercise, will be held in Mongolia from the late August to the early September. The number of forces involved in the exercise will be approved in course of the planning conferences, which are to take place in 2017. In 2016, the Selenga exercise was held at the Burduny training complex on August 29-September 7. Joint Russia-Mongolia force grouping performed joint tactic actions in course of the counter-terrorist operation. The exercise is held annually starting from 2008. 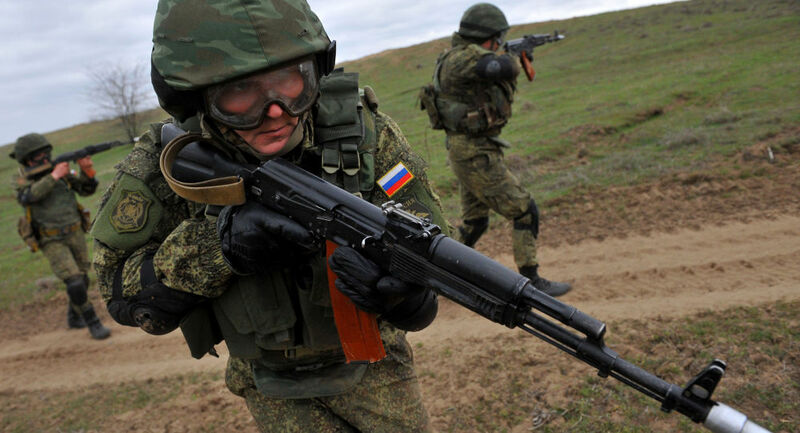 Russian and Mongolian military servicemen were practicing searching, blocking and eliminating simulated illegal armed formations in course of the exercise. Final round of consultations on the Russian-Mongolian joint exercise “Selenga-2016” will be held in Ulan-Ude. At the planning conference of the Russian-Mongolian joint exercise “Selenga-2015” representatives of the Eastern MD and the Armed Forces of Mongolia will bring into line the scenario of the exercise and schedule of cultural and sport events. The joint exercise will take place on August 29 – September 7 at the Burduny training complex of the Eastern MD in Buryatia. In total, approximately 1,000 servicemen will participate in the exercise. A tank battalion, a motorized rifle company, mortar, self-propelled and projectile artillery batteries, air defence units, reconnaissance and NBC protection units from the Eastern MD will take part in the Russian-Mongolian exercise. According to the Russian Eastern Military District, around 1,000 servicemen will take part in joint Russian-Mongolian drills this summer. About 1,000 soldiers of the Russian and Mongolian armed forces will participate in the joint Russian-Mongolian Selenga-2016 military exercise to be held in the Republic of Buryatia this summer, the head of Russia’s Eastern Military District press service said Monday. “In the first round of consultations held in the capital of Buryatia, Ulan-Ude, representatives of the Eastern Military District and the Mongolian Armed Forces agreed that Selenga will be held at the Burduny training range on August 29 — September 7, 2016. It is planned that some 1,000 soldiers from both sides will be involved,” Alexander Gordeev told reporters.He added that during the drills, soldiers will practice tactical tasks as part of a simulated anti-terrorist operation to create a security zone in a designated area, as well as training exercises to block and destroy illegal armed groups. The Selenga exercise has been carried out annually since 2008. Exercises with China, Japan, Mongolia, Vietnam, as well as three drills with India, are planned for 2016. Russian Eastern Military District (EMD) troops will take part in nine international exercises in 2016, the district commander said Friday. “The next year will be more abundant in terms of international military cooperation, troops are planned to take part in nine exercises,” Col. Gen. Sergei Surovikin said at a military council session. Surovikin listed exercises with China, Japan, Mongolia, Vietnam, as well as three drills with India, as planned for 2016. This year, the commander said EMD servicemen took part in three drills, with one planned next month.Announcing other developments for 2016, the EMD commander said seven state-of-the-art training grounds were planned to be built across four eastern regions, adding that a network of 33 training areas is expected be built by 2020. Russia is currently undergoing a $325-billion rearmament program to achieve a 70-percent modernization of its military by 2020. Russia’s Eastern Military District has received over 850 units of military equipment this year, with plans to continue rearmament on pace in 2016, the district commander said. Surovikin listed the Borey-class Alexander Nevsky strategic missile nuclear submarine, the Iskander-M mobile short-range ballistic missile system, S-400 Triumf missile defense systems, Verba man-portable air-defense systems and Tornado-G rocket launchers, T-72B3 battle tanks, electronic warfare and communication systems, as well as drones — as some of the equipment delivered this year.Russia is currently undergoing a $325-billion rearmament program to achieve a 70-percent modernization of its military by 2020. The EMD commander stressed that rearmament would continue on pace next year. The head of Russia’s Eastern Military District press service said that Russian-Mongolian Selenga-2016 military exercises will take place in Russia’s Republic of Buryatia. KHABAROVSK (Sputnik) – The Russian-Mongolian Selenga-2016 military exercises will take place in Russia’s Republic of Buryatia, the head of Russia’s Eastern Military District press service said Tuesday. The Selenga exercise has been carried out annually since 2008, with Russian and Mongolian troops engaging in collaborative field exercises to identify, block and destroy illegal armed groups. The number of participants and equipment, as well as the field camp location for personnel is expected to be approved at conferences next year, Col. Alexander Gordeev told reporters. According to Gordeev, both Russia and Mongolia sent 850 troops to take part in Selenga-2015 exercise held on August 19-27 in Russia’s Zabaikalsky Territory. A Russia-Mongolia military group engaged in counter-terrorist field exercises using tactical landings and water barriers.